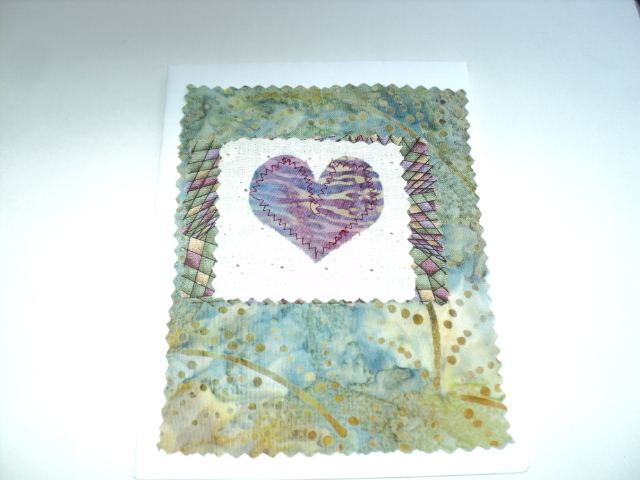 This card has 4 separate cotton fabrics, 2 are batiks. They were sewn by machine and glued to a white card stock. It is suitable for framing. Dimensions of this card 5-1/2 x 4-1/4.